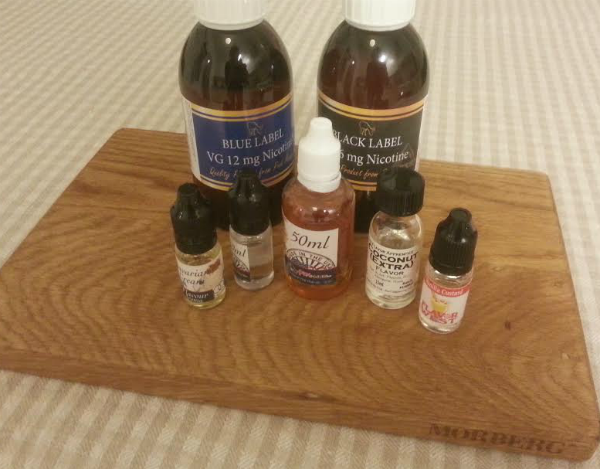 Finally I got my delivery for my last order with 100% PG 6mg Nicotine base-fluid arrived, ofc along with some flavors I needed to try another bunny ejuice recipe I planned to try. I mentioned earlier that I figured out that I was oversensitive to the VG and that vaping 80% VG base-fluid had caused me lots of problems with dry skin and dry itching eyes. So this delivery with PG fluid was more welcome then usually. If my experiment with Original Suicide Bunny turns out fine I will add it to my recipes. Esmokes – no not again!